Club Myst Ladies Night 2014 | Computex Parties - The first directory to find all parties held during Taipei Computex show! 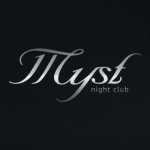 Myst club is one of the most popular night clubs in Taipei. With all the fun and so many ladies, this is sure to be a great evening! -The fun starts at 10:00 pm to 4:30 am.